Intelligent maintenance using the Schaeffler SmartCheck vibration measuring device: Reference projects demonstrate how customers can optimize and increase the value of their products and processes using Schaeffler’s Industry 4.0 range. Schaeffler has been developing mechatronic components for a wide range of industrial drives for some years. These components are “enablers” for Industry 4.0 because they are equipped with sensor systems, actuators, control units, and software that enable new functions and business models. Schaeffler’s Smart EcoSystem provides the IT infrastructure here for the integration of smart components, proven visualization and analysis tools, and services. 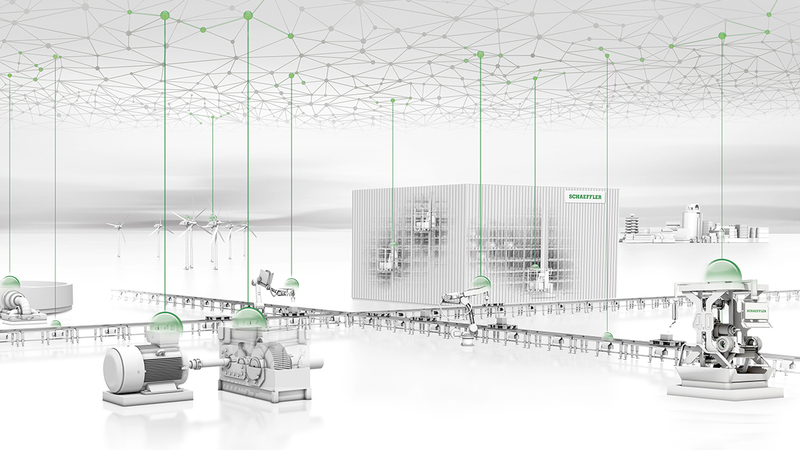 At this year’s Hannover Messe, Schaeffler will be presenting 4.0 solutions based on implemented projects, which are customized to suit the respective applications in drive technology, logistics or communal infrastructure. A new organizational unit bundles all resources, expertise, and activities from the mechatronic and service business made possible by digitalization. This sector will be expanded to approximately 300 employees during the course of the year and there will be an increase in the number of personnel employed in software development and digital services, in particular. The key tasks of the Industry 4.0 business sector are the new and further development of relevant products and services, sector-specific solution packages, and business models. In future, all Industry 4.0 products and solutions will be provided with Schaeffler branding and consultations services will be provided by a special sales team. Schaeffler ensures reliable operation at a water supply association using a complete solution that comprises both monitoring and lubrication for the machines that are critical to ensuring a secure supply. In collaboration with a provider of logistics solutions, Schaeffler has implemented an intelligent maintenance system for the operationally critical machinery at its newest logistics center. 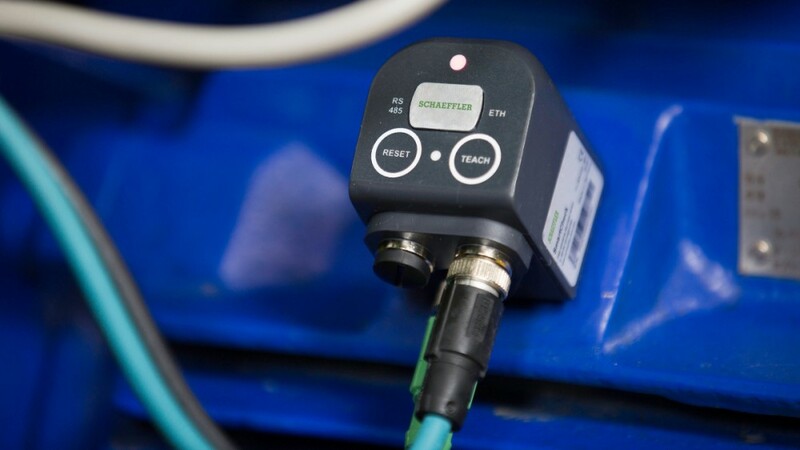 A Dutch industrial service company uses the connection to the Schaeffler cloud and the “ConditionAnalyzer” digital service for the maintenance of its customers’ machines. A large gearbox manufacturer uses cloud-to-cloud communication to integrate Schaeffler’s bearing expertise into its monitoring and control system. In addition, Schaeffler will be presenting, for example, monorail guidance systems with sensors for load and requirement-based automated relubrication, and further new and advanced “enablers” for Industry 4.0 applications. The complete press kit with further information about Schaeffler at the Hannover Messe 2018 (Hall 22, Booth D49) is available to download from the homepage.